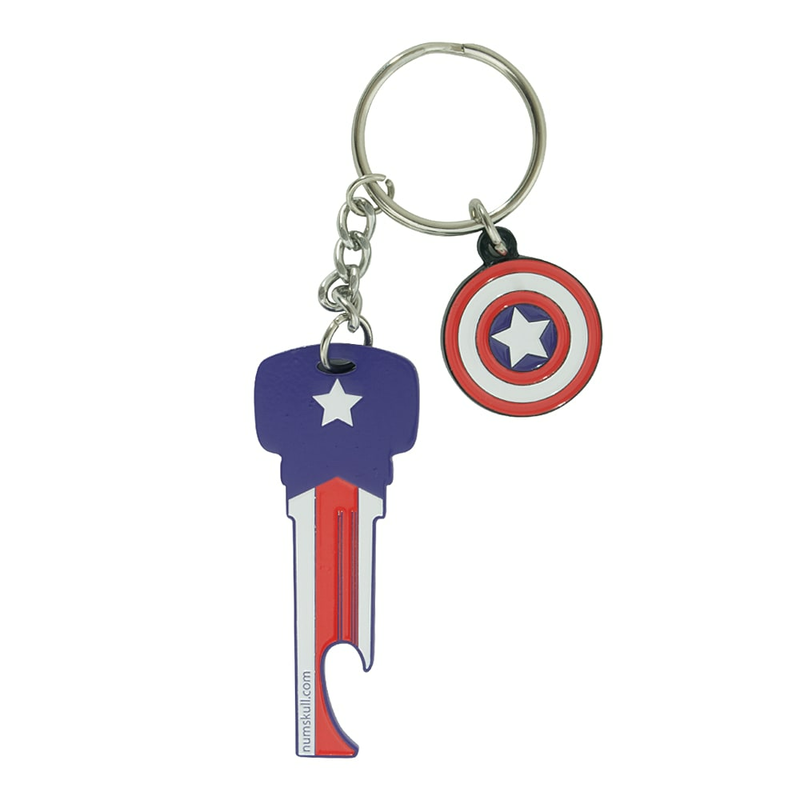 This official Captain America keychain bottle opener is shaped like a key to fit in with all your other keys! 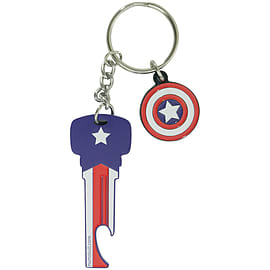 Though it may not open any doors, it is able to open any bottled beverage with its handy bottle opener accessory. 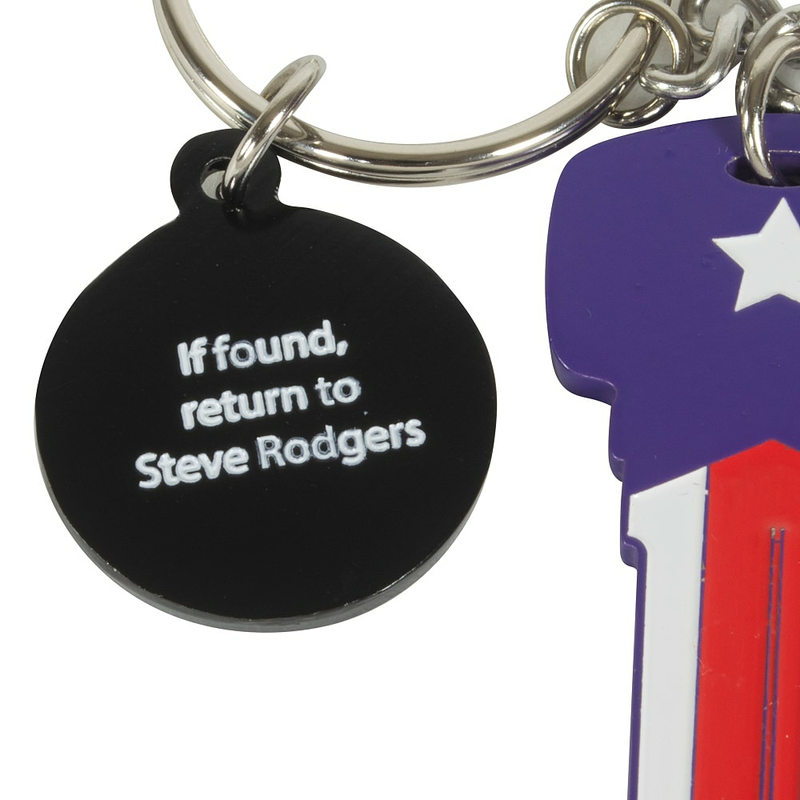 For added entertainment and collectible, a character icon tag is attached, making this a great gift for Marvel fans of all kinds!